You’re doing it. You’re planning to ask your soul mate to marry you. It’s only the rest of your life, so why not shoot for the stars (or at the very least, the blue skies) with your proposal? Here’s a round-up of ways in Los Angeles to get the question out there—by air, by land, and by sea. Skywriting/Banners: Just look up. AirSign.com will declare your intentions whenever and wherever you choose with either a “Will You Marry Me” banner or with skywriting. We’ve seen the company’s love note smoke puffs spelling out declarations over Griffith Park, Venice Beach, and Malibu, but it offers many locales. 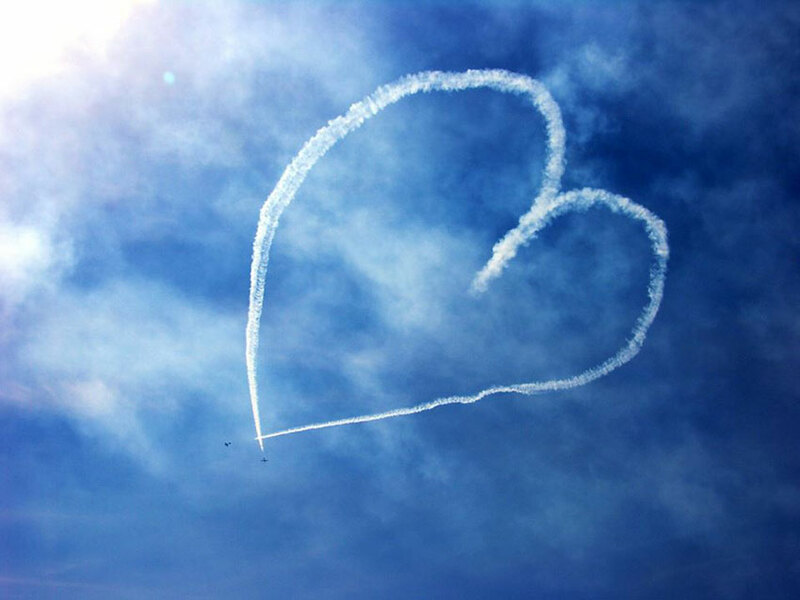 For skywriting, the shorter the better—your passionate plea will only last 30 to 60 seconds in the blue sky. Private Helicopter: The Heart Bandits “Romantic Event Planners” specialize in marriage proposals. They offer numerous packages around the city, but their private helicopter hilltop proposal/picnic has us wanting to fly. After a tour of the coastline, your pilot sets down in Malibu and you can pop the question over a picnic supper and glass of wine on your own private plateau overlooking the Pacific. Flash Mob: When Nam Tran wanted to ask his girlfriend Trang to marry him, he enlisted the help of L.A.-based Flash Mob America. Staci Lawrence and Conroe Brooks formed the company in 2009 and handle everything from music rights to choreography of your Flash Mob proposal. In Tran’s case, they went back to where the couple met, on the UCLA campus, and set his proposal to “Can’t Take My Eyes Off You”. After dancing with an enormous group that included family and friends mixed in with the pros, Trang answered, “Well, duh,” after he took a knee. That was a yes. Disneyland: Who wouldn’t want to start the rest of their life at The Happiest Place On Earth? More specifically, start with dinner at the romantic Blue Bayou restaurant next to the Pirates of the Caribbean ride. Disney staff will coordinate with you to place the engagement ring in your soon-to-be fiancé’s crème brûlée at this eternally twilight Cajun restaurant, where the only light sources are balloon lanterns and twinkly fireflies. Hopefully you will hear a yes and not just the softy chirping crickets in the background. 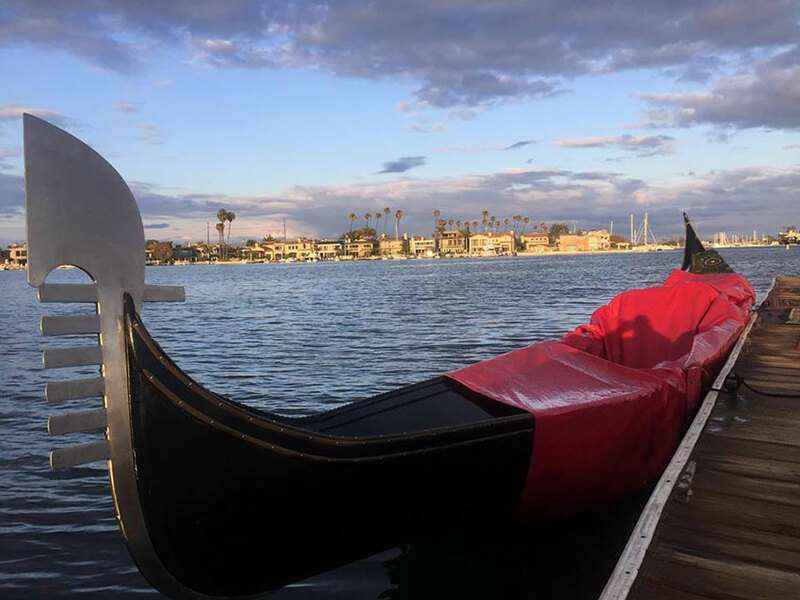 Gondolas: Declare your intentions while floating along the canals in a Venetian gondola via Gondola Getaway in Long Beach’s Naples Islands. Gondoliers in striped shirts take you on a one-hour cruise through the Naples Island waterways, which will give you plenty of time to work up enough courage to pop the question. Sea Lions: The Aquarium of the Pacific actually gives you a few wet and wild options when you are ready to ask someone to marry you. You have to chuckle at the idea of a sea lion pulling out a “Will You Marry Me” sign from the water and handing it to your intended (Option One). They also offer a human option where a diver declares your love underwater via a sign following the Tropical Reef Dive presentation (Option Two).